* Visitors check out the community garden. * Plants on sale during the day. 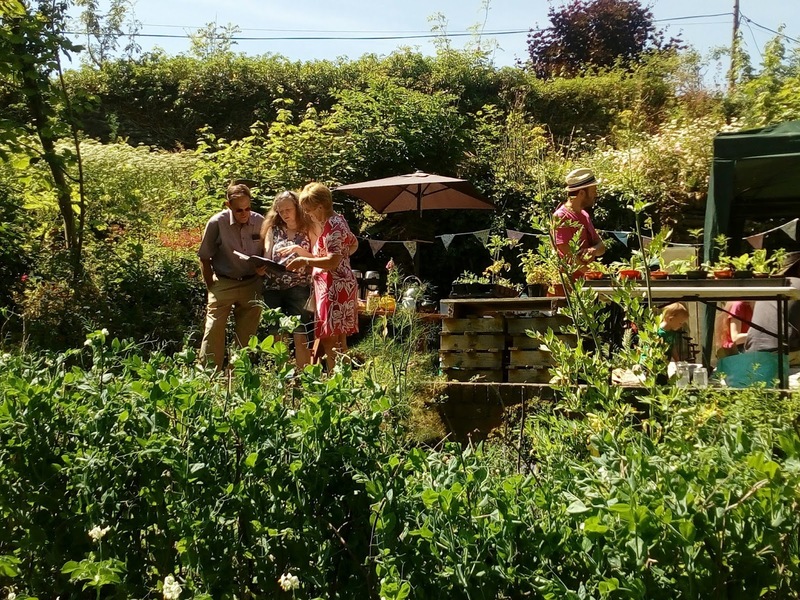 A steady stream of interested visitors called in at a sun-soaked open day hosted by Llangollen Community Garden yesterday (Sunday). They were able to see latest developments by the group of volunteers which runs the plot adjacent to the grounds of Plas Newydd. These included a system powered by solar energy for pumping water into the garden which doesn't have its own mains supply. 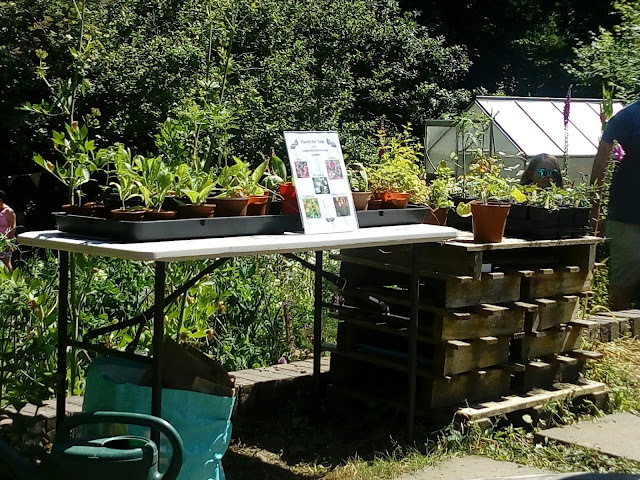 People who called in were also served tea and home-made cakes and were able to take advantage of a plant sale.